This wine has rich notes of cherries and blackberries. It has a fresh earthy scent, like a forest floor after a rainfall. 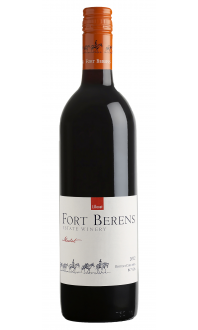 It is a full-bodied wine rich with concentrated flavours of black and red berries with a smooth finish. The 2015 vintage was a featured wine in November's wine club package, 2017. Appearance: Bright, semi-opaque, deep ruby core, lighter maroon rim. Nose: Medium+ aromatic intensity. Dark cherry, raspberry, eucalyptus, menthol, ash, cigar box, smoke and violets with a hint of vanilla. Palate: Medium+ body, medium acid, medium tannin. Dark cherry, black currant, black tea, menthol, black pepper. Quality: Good quality; flavourful and well-balanced with a medium length finish. A robust and spicy Cabernet Franc. Age for 2-5 years. Food Pairing: Steak frites, a variety of cheeses from Swiss and Cheddar to Goat cheese and Blue, roasted Cornish game hen with herbs, creamy turkey casserole, grilled game meats, and hearty lasagna.